Many parents recognize the importance of “risky” play yet still worry about the possibility of injury. We understand and empathize. 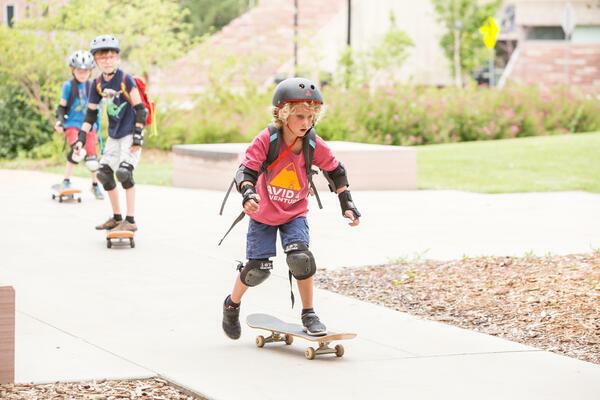 At Avid4 Adventure, we also recognize the benefits of risky play, and it’s our job to appropriately manage the risks and teach kids to intelligently navigate risk. Avid4 Adventure is all about FUN and LEARNING. 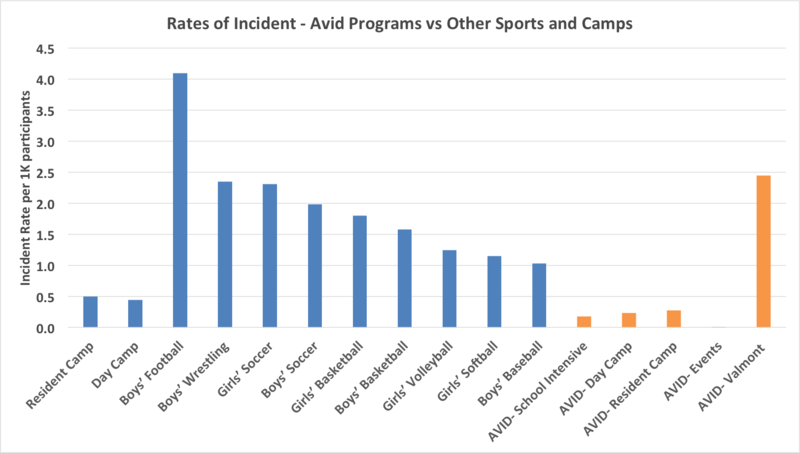 However, all outdoor adventure activities, including those offered by Avid4 Adventure, have inherent risks. What you may or may not realize is risk also comes built-in benefits. Having reasonable, communicated, and calculated risks encourages personal responsibility, increases self-confidence, builds judgment, and leads to a sense of accomplishment. Some of the inherent risks that exist in our camp environments are considered a necessary and valued aspect of our programs. One of our goals is to transform your children into risk managers. But HOW do we manage risk with outdoor adventure (and teach kids to do the same)?! We have proactive risk management plans for every location and activity. We have a critical incident response manual and plan which we test annually through scenario-based training. We have detailed Staff Manuals with specific activity protocols for all sports. All staff maintain relevant levels of medical and sport-specific world-class training. All staff are thoroughly background checked. All staff who drive complete professional driver training. We are licensed by the State of Colorado as a Childcare Facility. All of our equipment is thoroughly inspected and updated as needed. Personal flotation devices are worn during all paddle days, including on land within 20 feet of water. We rent and drive new vans every year. We source kid sized equipment for all activities and ensure that all campers are outfitted with properly fitting gear for their adventures. We maintain low staff to participant ratios. “Environmental Briefings” – instructors guide campers through a process of identifying and decreasing the risks in changing environments. “Teachable Trail Moments” – instructors (and campers) look for opportunities to practice the skills of risk assessment and positive decision-making. Programs and activities are age and ability appropriate. We maintain an active and informed Risk Management Committee consisting of Avid4 Adventure leadership, a physician, a nurse, experts in Wilderness Medicine, and an attorney that specializes in recreational law. We approach risk management with humility; we analyze individual incidents and trends and improve trainings, protocols, and programming as needed. Questions about Risk Management at Avid4? Email our CEO, Paul Dreyer. Would you like to learn more about Avid4 Adventure camps?